One of the common causes of water damage in homes across the country is from plumbing leaks. A ruptured pipe can release a tremendous amount of water in a short period of time, and a hidden slow leak can be just as damaging over time if not detected. It may take a homeowner several weeks or longer to identify the presence of a slow leak. During this time, hundreds or thousands of gallons of water may be lost. You want to keep your home well-maintained at all times, and knowing how to prevent household plumbing leaks is essential to accomplishing this goal. If you have never dealt with a plumbing leak in your home, you may not understand the extent of the damage that a leak can cause. When water is not properly contained in the home, it can quickly damage drywall, wood support beams, cabinets, electronics, flooring, and more. Furniture and appliance damage may also occur. When water damage is not mitigated promptly, mold growth becomes a serious and legitimate concern. When most people think about ruptured pipes in the winter, they think about exposed exterior pipes. Wrapping exposed pipes in insulation will prevent these pipes from rupturing. Be sure to detach water hoses from the spigots before the first freeze. 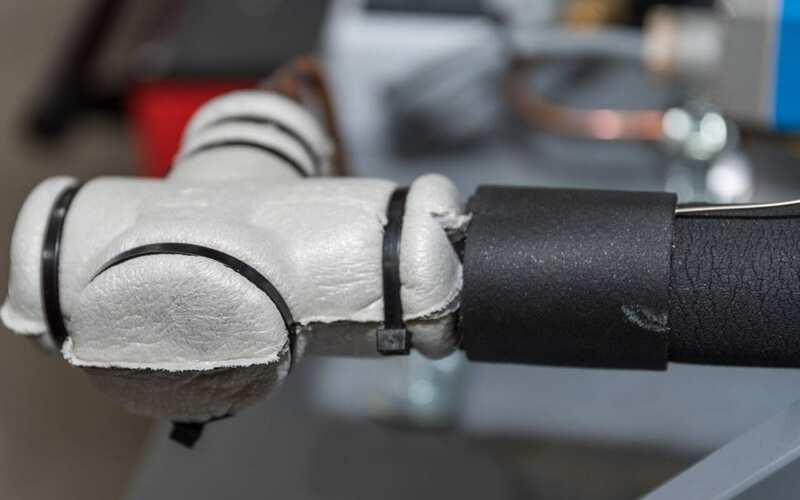 Wrapping exterior water pipes will also help keep interior pipes at a higher temperature, reducing the likelihood they’ll freeze. During the winter, be sure to maintain a warm interior temperature whether you’re home or not, and open the cabinet doors under the sinks to let warm air in on particularly cold nights. Plumbing may also fail because of old age and wear. It is difficult for a homeowner to determine the condition of a home’s pipes, but a professional plumber or home inspector can provide insight into their condition. A regular plumbing inspection is an excellent step to take to prevent household plumbing leaks. You can also do your part to protect your home from plumbing-related damage. Leaky faucets are common, and many of these leaks can easily be fixed by a homeowner. For example, simply tightening the screw that holds a faucet knob in place may prevent a leak. Slow leaks can eventually turn into major leaks, and all leaks waste water. With this in mind, get in the habit of checking your faucets on a regular basis. Hot water heater leaks are also common and may occur for a variety of reasons. For example, the tank may be rusted, or a hose may be clogged. Service for tank hot water heaters is recommended annually. The primary purpose is to flush the tank and remove accumulated sediment. The plumber may also identify other areas of concern and offer tips on improving them. Plumbing leaks can be a big headache with costly repairs. However, you can prevent household plumbing leaks moving forward by following these steps to protect your home from water-related damage. Carolina’s Best Home Inspections serves Moore County the surrounding areas in North Carolina with home inspection services. Contact us to book an inspection.